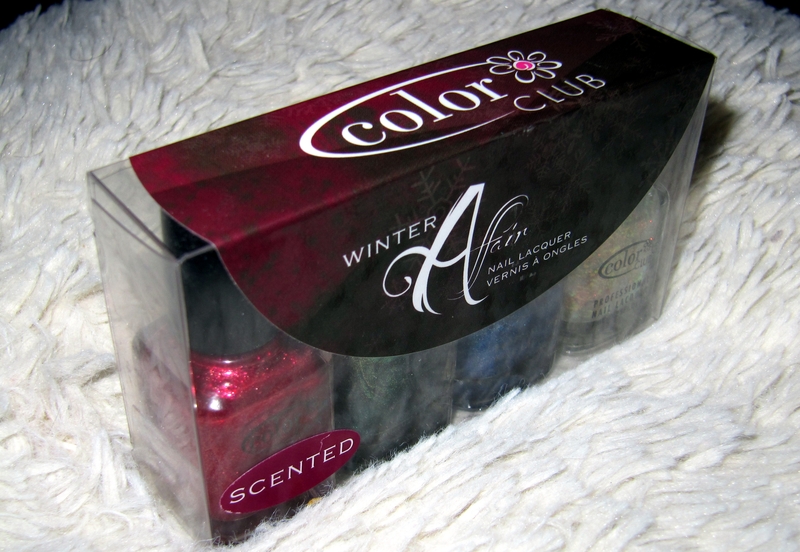 If you are still in need of stocking stuffers for that beauty lover on your list then this Color Club “Winter Affair” set of mini nail lacquers may be just what you need. 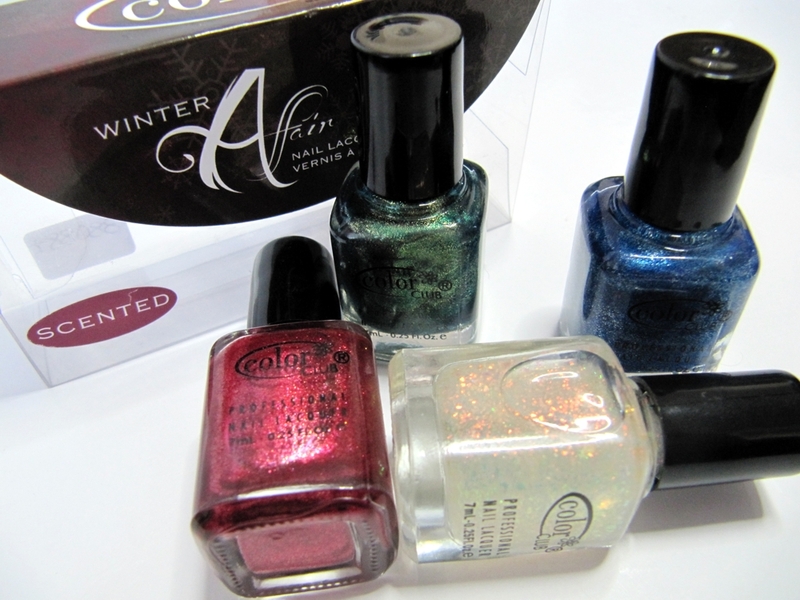 The Winter Affair nail lacquer set is made up of 3 beautiful shimmery polishes and a flakie top coat….and yes as the label suggests, they are scented! This was the first time I’d ever noticed the brand “Color Club” at Sally Beauty Supply but had heard a lot about them on-line, so I was excited to pick up this set and give them a try. 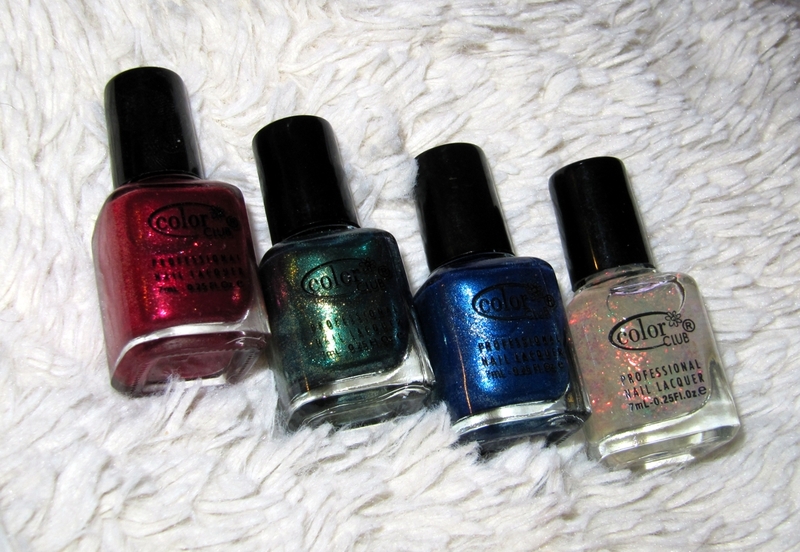 This set of minis from Color Club is currently available in stores for $6.99 US or $8.99 CAD. 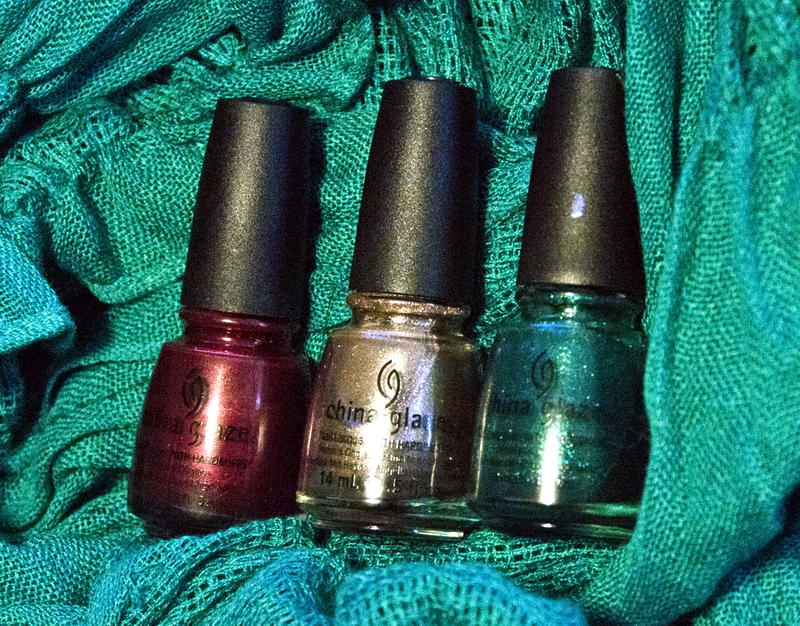 These mini nail polishes didn’t state the actual shades on them anywhere, so I had to look them up on-line and found the following information. “Berry and Bright” is the shimmering red and smells like…well…berries! The scent could also be compared to sugar plums. It is a very festive berry scent. The green you see is “Ho-Ho-Holly” and to me, smelled exactly the way a pine or mistletoe candle would. The shimmering blue nail polish is called “Gift of Sparkle”. For some reason, depending on where you purchase this set “Gift of Sparkle” is actually a different colour. Sally Beauty offers the blue and at other locations you might find a glitzy purple with the same name. I can’t speak for the scent of the purple one, but the blue one smells like vanilla…but a very strong vanilla. The flakie polish on the end is called “Snow-flakes” and is the only one from the set that isn’t scented. When I saw this in the bottle, I was actually hoping it was similar to Make a Spectacle from China Glaze’s Halloween collection, but it wasn’t anything like it. The reflective nature of this polish is very subtle on the nail and much more pronounced in the bottle. At certain angles you can’t see it at all, but if the light hits it just right, then you will see multiple shades reflected in these flakes. 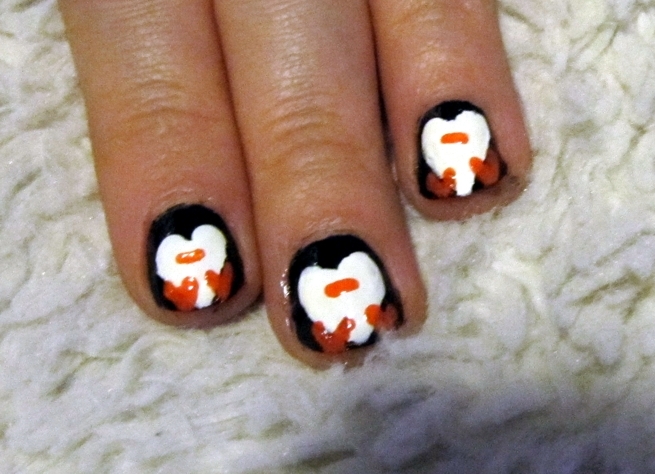 I think next time I will actually try out this top coat with more than one coat and see how that changes things. Regardless of my high hopes and slight disappointment, it is still pretty! 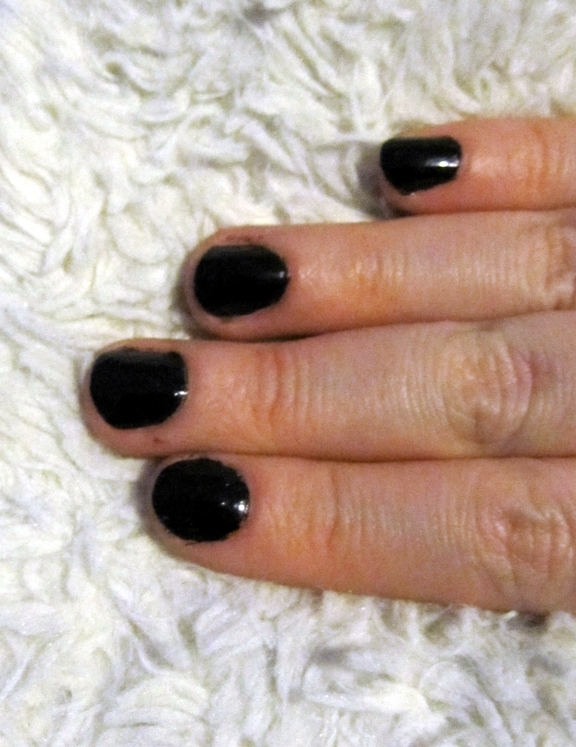 The formula of these polishes was fantastic, not too thick and not to thin. These pictures are actually all with just one coat if you can believe it! So these polishes are perfect for when you are in a hurry and don’t have time to wait for 2-3 coats to dry. 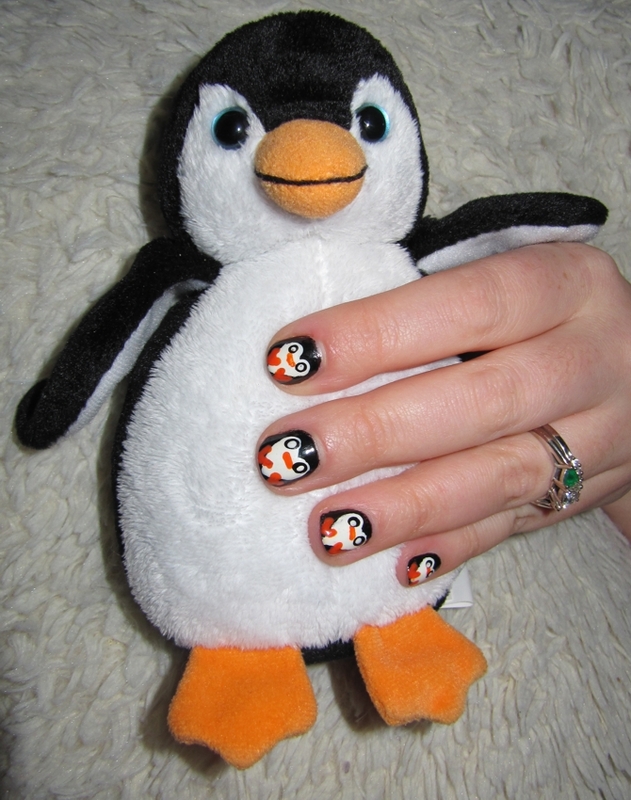 Please note: I don’t recommend using multiple polishes for a manicure like I did here. 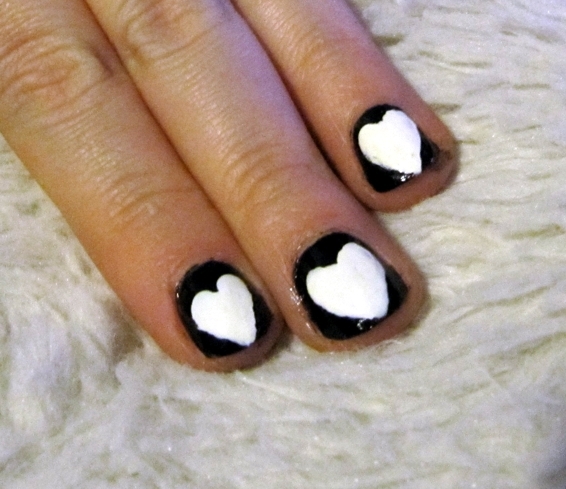 The mixing aromas was a little overpowering for me and I had to change this mani over to a single color mani. But when I had on only “Berry and Bright” it was just a nice soft scent and very manageable. If you have a sensitive nose though, these might be too much for you. This was my first adventure into the world of scented nail polish and I haven’t made up my mind yet as to how I feel about it. How about you? 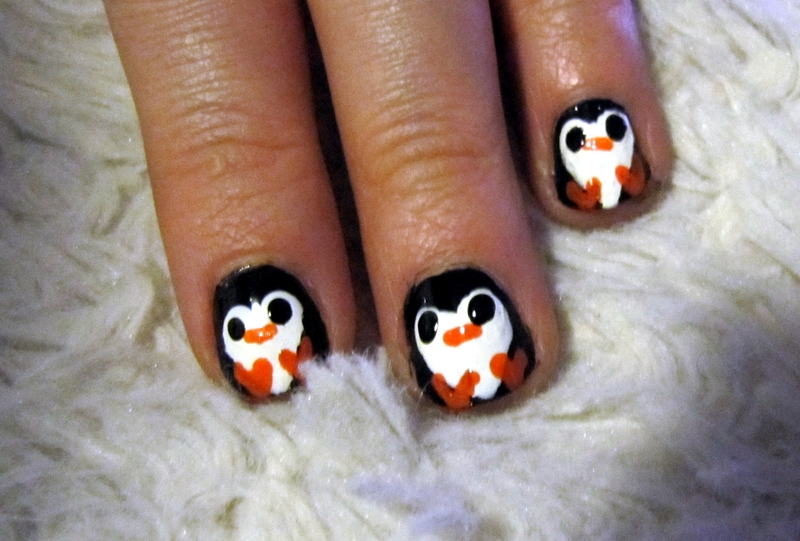 Do you like scented nail polish and have a brand you turn to? Thanks for reading! Happy shopping for those of you that still have some left! The holidays are quickly approaching and the big nail polish brands are all coming out with their special collections and limited edition polishes. For now, I just have the two, but I thought I would share my swatches of them with you anyway. 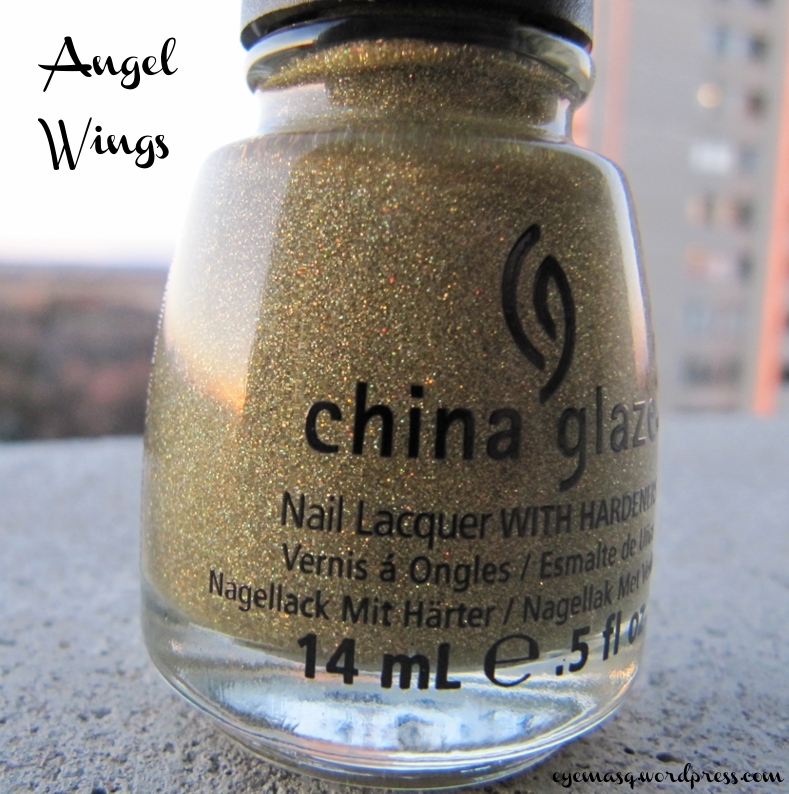 Angel Wings is a clear base polish packed with gold micro glitters and holographic micro glitters dispersed throughout it. It’s a really pretty polish! 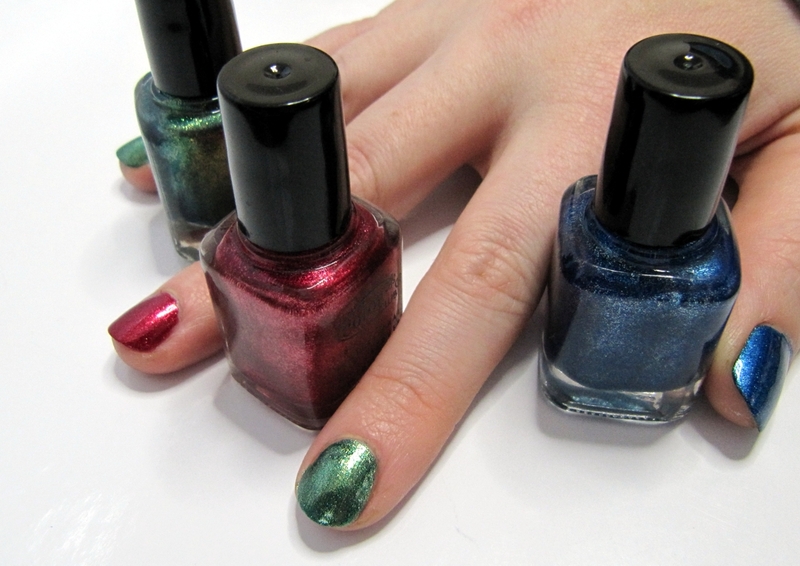 This lacquer offers that insanely sparkly glitzy look that is perfect for the holiday season. With Angel Wings you can expect mostly opaque coverage after two coats, but will need three if you want complete coverage. 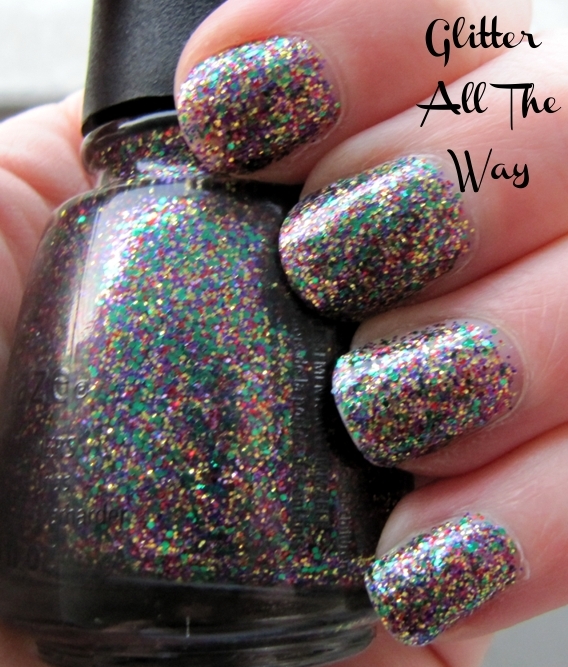 Like most glitter polishes, it will dry gritty and grainy to the touch, so you will most likely want a top coat. 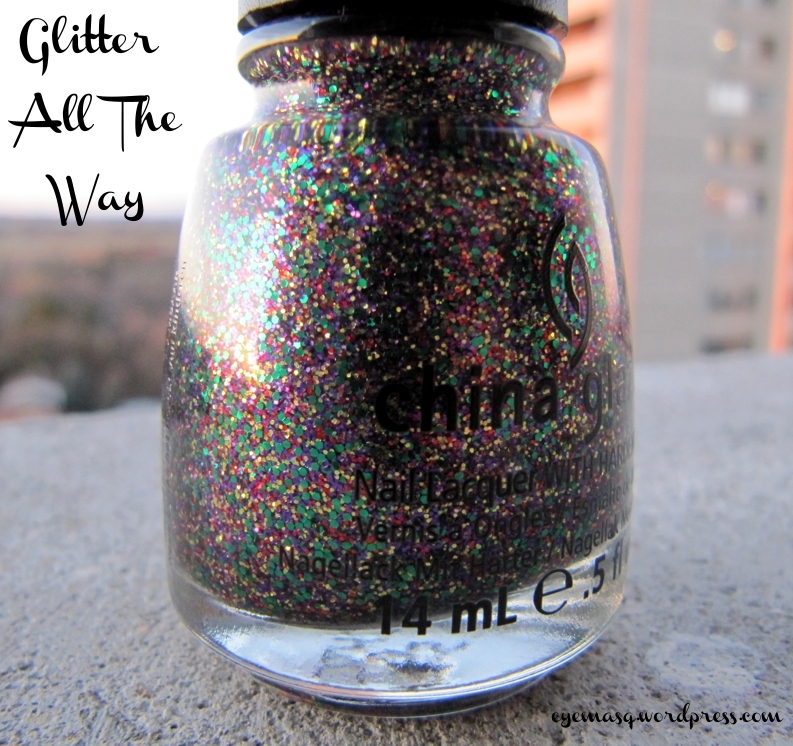 Glitter All The Way quickly became one of my all-time favourite glitter polishes. As you can see, it is super fun and uber colourful. I had nothing even remotely like it in my collection. 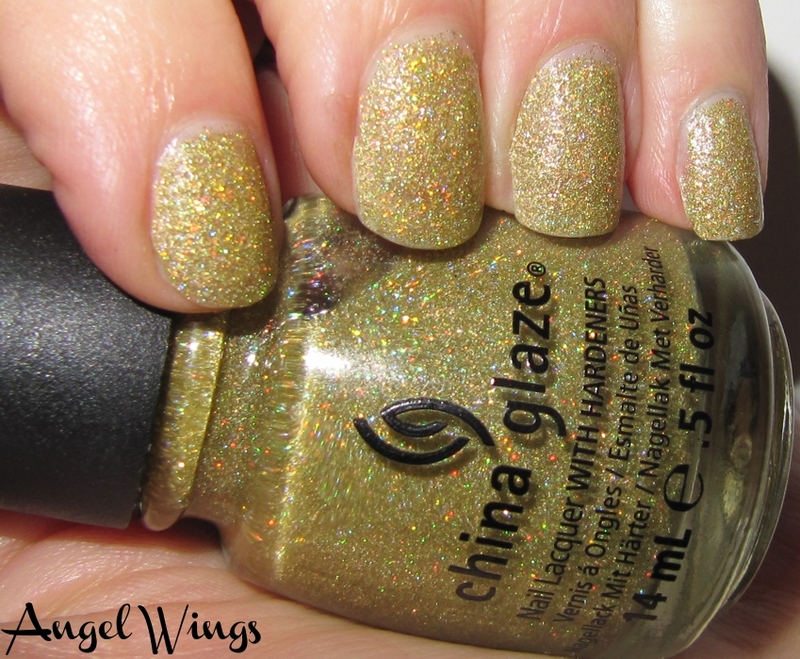 This polish contains gold, red, purple and green glitters – all packed in a clear base. The glitters themselves aren’t as fine as the ones in Angel Wings but they are by no means chunky or bulky. Glitter All The Way will be opaque after 3 coats, or will serve as a very pretty top coat if you just want to add some glitz and glam to your already existing manicure (it looks very beautiful over any really dark polishes like black or vampy red). I think it’s a perfect polish for this years holiday parties! Which polishes and new collections have you most excited this year? 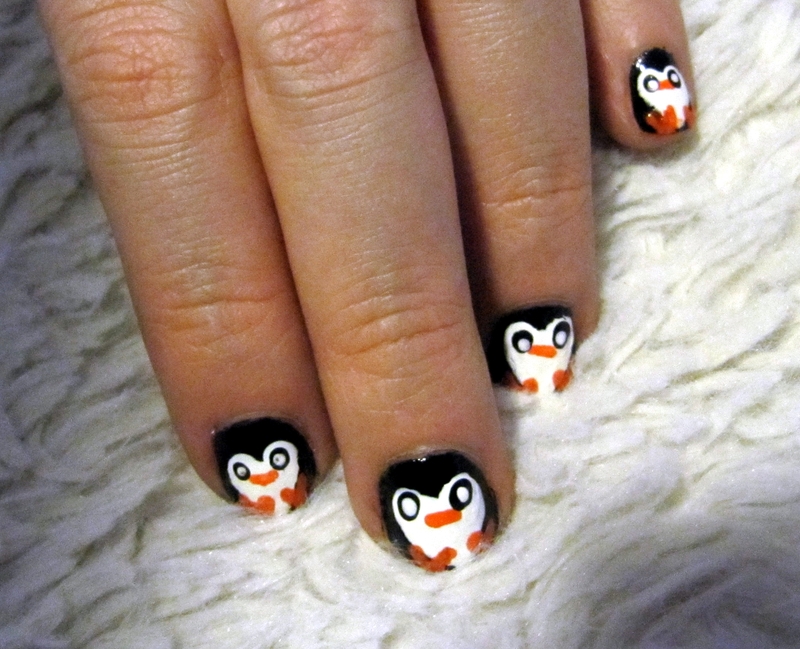 What polish will you be wearing to your holiday parties?